Kritters Thoughts: A small little book filled with letters from a caring grandfather to his young grandson. 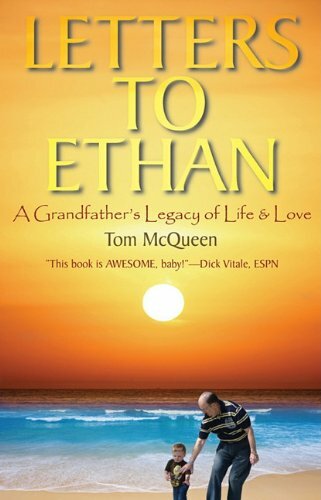 Full of life lessons and guidelines he provides his grandson to ensure that he can pass on his thoughts so his grandson has a roadmap for life's hardest decisions. I thought the book was cute and had great meanings in each letter - but this book was definitely not my style. As I don't have children and they aren't in the near future, I think this book would be more appreciated by those with children. The one nerve it hit with me is the wish that any of my grandparents had left me notes of encouragement and wisdom. I would pass this book along to my friends who are parents and the grandparents in our lives to encourage them to do the same - to provide their grandchildren with letters of their life stories that may aid them in making life's hardest decisions.